Globally, more than 8 million tons of plastic enter the world’s oceans every year. Oil canisters, ropes, nets, and plastic bags — these were some of the pieces of plastic retrieved from the stomach of a dead sperm whale that recently washed up on a beach at Cabo de Palos in Murcia, Spain, according to a report. A team of marine scientists from El Valle Wildlife Recovery Center performed an autopsy on the 30-foot animal and found 65 pounds of plastic in its gut, the Independent reported. They determined that the plastic caused a blockage in the whale’s digestive system, which led to a fatal infection called peritonitis. The grisly discovery is the latest sign that plastic is harming marine life and it spurred Spain’s regional ministry of culture, tourism and environment to launch a campaign to mitigate plastic pollution, according to the Daily Mail. “The presence of plastics in seas and oceans is one of the greatest threats to the conservation of wildlife throughout the world, since many animals are trapped in the trash or ingest large amounts of plastics that end up causing their death,” Consuelo Rosauro, director-general of the natural environment in the Murcian government, told the Independent. “The region of Murcia is no stranger to this problem, which we must tackle through clean-up actions and, above all, citizen awareness,” he added. Globally, more than 8 million tons of plastic enter the world’s oceans every year, the equivalent of a garbage truck full of plastic being unloaded every minute. All of this waste affects marine life in various ways. Like the sperm whale, animals are prone to swallowing pieces of plastic floating in the water because they mistake it for food. Once ingested, plastic is nearly impossible to digest and can cause animals to get infections or starve to death. The more than 51 trillion microplastics in the world’s oceans, meanwhile, are ingested in large volumes by animals up and down the food chain and leach toxic chemicals. 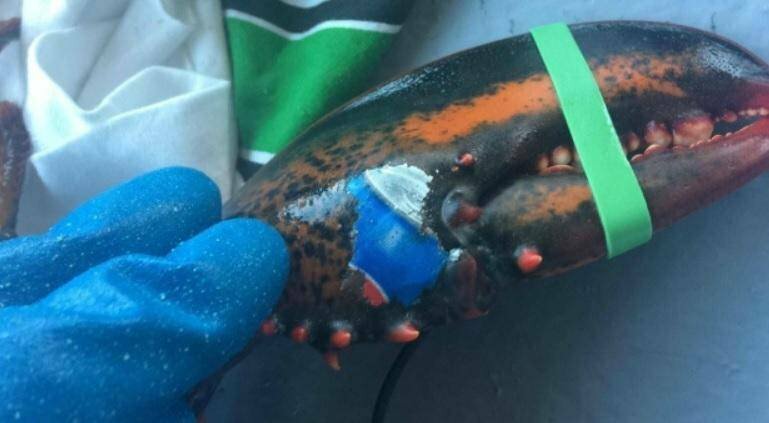 Plastic can get painfully stuck in animal orifices and can also entangle limbs, constricting movement or causing deformities. It’s estimated that up to 300,000 small whales, dolphins, and porpoises get entangled and killed by predominantly plastic fishing materials each year. 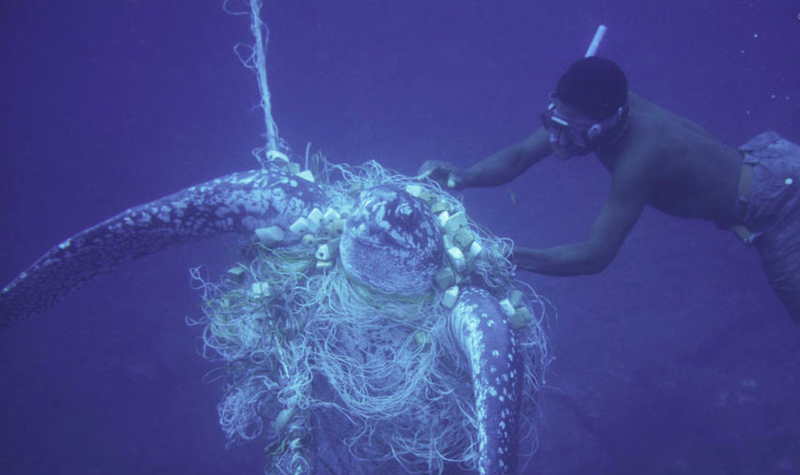 The single biggest threat to sea turtles, according to the World Wildlife Fund, is bycatch, when an animal is accidentally caught by massive fishing nets. Plastic has also been shown to destroy marine ecosystems such as coral reefs by blanketing, piercing, and otherwise damaging plant life. As shocking examples of plastic waste appear throughout the world, countries, cities, and companies are beginning to take action. Countries including Taiwan, Scotland, and Kenya have enacted some version of a plastic ban in recent years, and cities such as Vancouver and New Delhi have drafted their own bans. The UN recently proposed a global ban on plastic pollution entering the oceans and Canada is planning to introduce a similar proposal at the G7 gathering later this year. Some of these measures are beginning to pay off. In the UK, a ban on plastic bags led to a decline in their prevalence on seafloors. And a massive beach clean-up campaign in Mumbai revitalized the local ecosystem. None of these efforts were enough to save the sperm whale in Murcia, but they could save other whales from meeting a similar fate. Global Citizen campaigns to reduce plastic waste around the world and you can take action on this issue here.